Water topics are increasingly getting attention in the Church, thanks to the work of women religious, Catholic movements, and scholars. 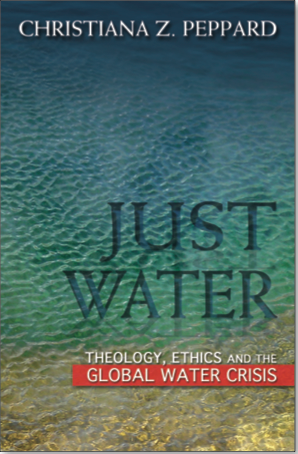 My friend and fellow theologian, Christiana Z. Peppard, has an excellent new book (one that is great for both classrooms and parish groups) out on: Just Water: Theology, Ethics, and the Water Crisis. 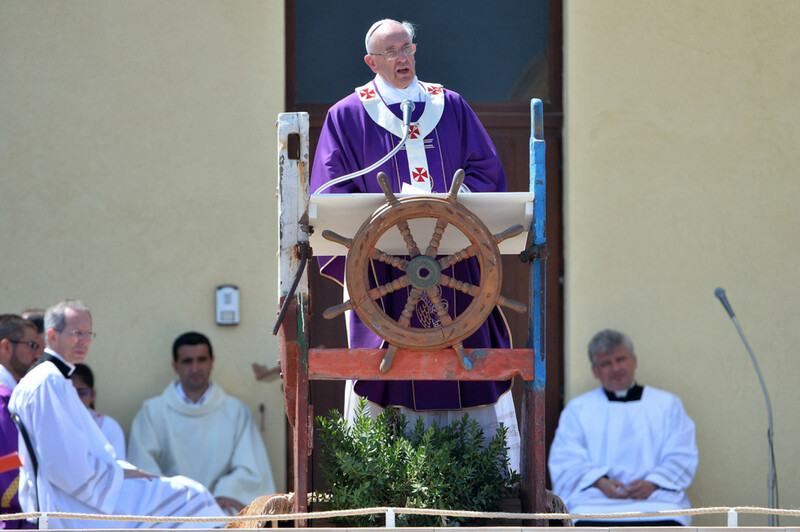 It may surprise some to learn that the Catholic Church has a lot to say on the topic of water justice. This week, I’ve been lucky to be with a group of college students from USA and Canada for a study session at the UN sponsored by the International Movement of Catholic Students. The following are just a few selections from Catholic social teaching that I shared with the students on the topic of water. One key thing to see is that according to CST (and human rights law), water is a right and not a simple commodity. 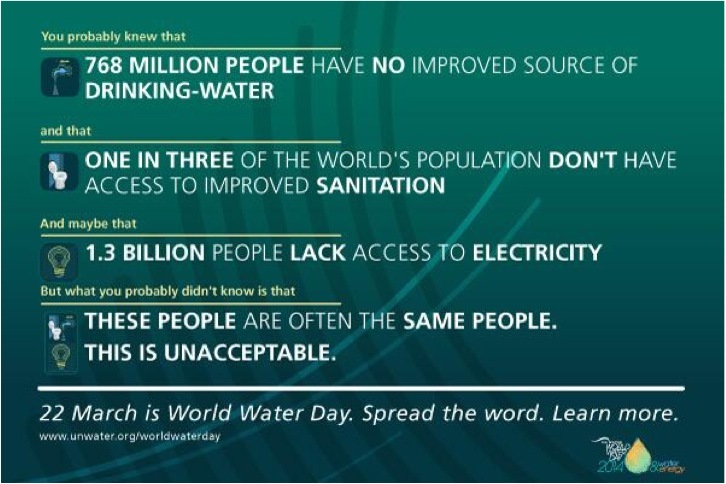 All of us, then, have a corresponding responsibility to work for millions without access to safe water. ” Water, a common good of the human family, constitutes an essential element for life; the management of this precious resource must enable all to have access to it, especially those who live in conditions of poverty, and must guarantee the liveability of the planet for both the present and future generations. Access to water is in fact one of the inalienable rights of every human being, because it is a prerequisite for the realization of the majority of the other human rights, such as the rights to life, to food and to health. Addressing distribution – which developed nations have been trying to do for decades now – isn’t working very well. A better solution will be when enough people come together and recognize that most of our environmental problems come down to overpopulation, and we then begin addressing that through education and health services. Reblogged this on Sabah Laity Institute.